Spring is finally here. Can you believe it? It means longer days and warmer air. It means flowers popping up and buds on the trees. It means long walks in the neighborhood after dinner and that it’s nearly time to break out the grill. But, the best part? Spring cleaning. And, my favorite part of spring cleaning? Organizing my closet. Every spring I go through a major closet overhaul – cleaning it out, sorting and donating loads of clothing to charity, but my favorite part? Actually organizing everything that’s left in there. 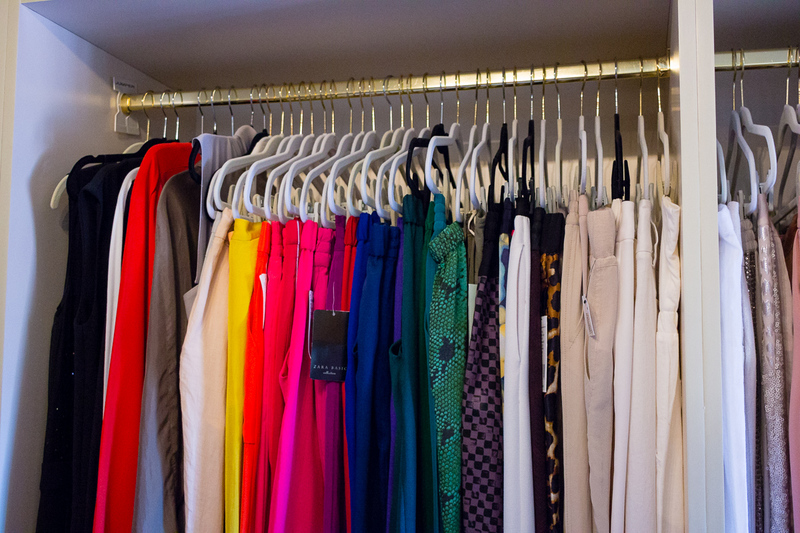 Over the years, I’ve come to develop some pretty great strategies for closet organization and, I have definitely found a few tricks that really get the job done. 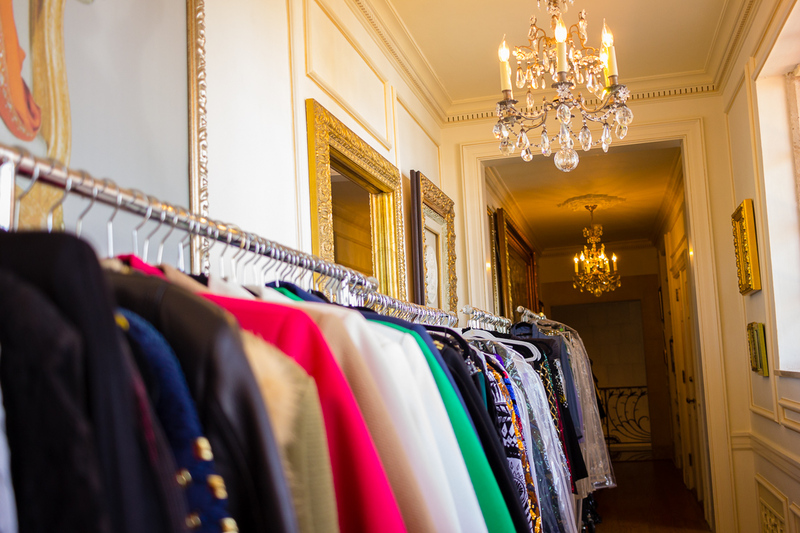 Keep reading for a few tips and a look in my own closet, if you’d like to see. #1. Start by organizing by color. This fundamental lesson is so important as it truly helps you visualize what you’ve got in there and you can easily find what you’re looking for. 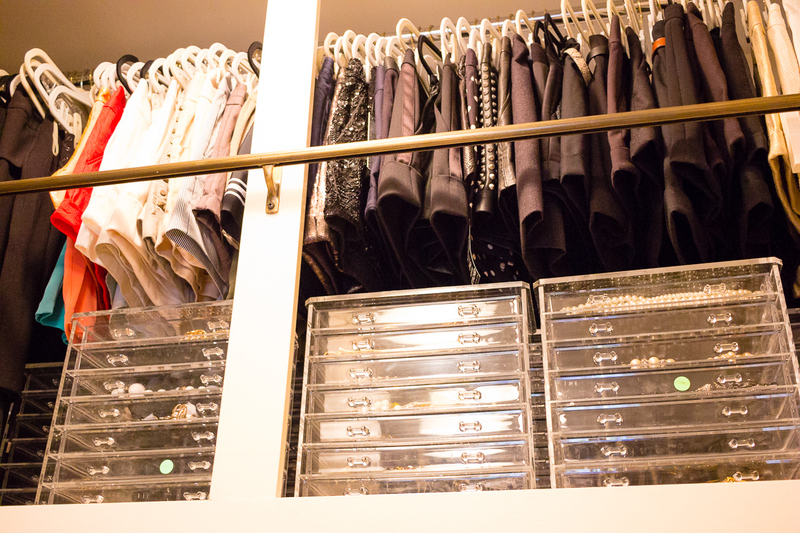 When I get dressed, I know I’m looking for a certain “black” top or a “red” dress – organizing by color makes that process so much easier and it looks pretty too! #2. Secondarily, sort by type of item. Once everything is sorted by color, you can go through and sort by the type of clothing items that you have. Let’s say you have lots of sweaters – cluster your sweaters together by color. All the white sweaters are folded and together, all the blue sweaters are folded and clustered together, etc. Do the same with all of your other items – cluster them together and sort by color: blazers, skirts, blouses all can be hung together, while leggings, sweaters, casual tops can all be folded and put on shelves or in drawers together. #3. Shoes can also be sorted by color. This is a good one depending on how many shoes you have. I happen to have lots of shoes – I love them! With lots of shoes, it means you have to keep them organized and for me that means lining them up by color so that I can see exactly what I have to work with. I don’t know about you, but I don’t always know exactly what pair of shoes I am going to wear with an outfit – I have to see my choices and try them on. Organizing by color helps a ton. #4. Handbags are most easily organized by style. 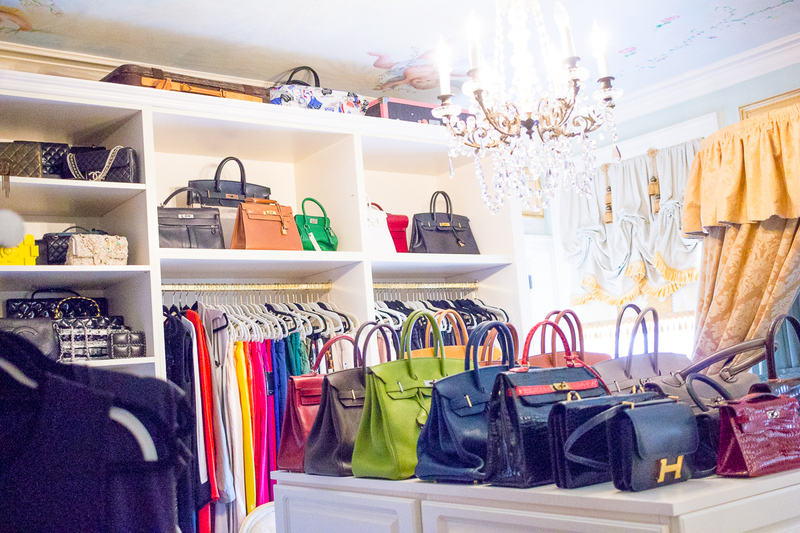 Some handbags can be tough to sit perfectly on a shelf or hung just the way you want it, so try organizing by style. Clutches can easily go in a drawer or a bin, while bigger bags can sit on the top shelf. Bags are great for the shelves you can’t easily access because they look great and we don’t use them daily. Think about putting the bags you use every once in a while up high, while keeping your everyday bags more accessible. Enjoy your spring cleaning and this perfect time of year for closet organizing! Do you have any special closet tricks you live by? Do tell!